I want to personally congratulate everyone for their services. Every time I need something, even if it is a little bit dumb there is always someone that makes me feel special and solve my problem instantly and never ever failed me or my company. Great communication, social people, well taught personnel, quality services. Thank you for everything guys. I want to personally congratulate everyone for their services. Every time I need something, even if it is a little bit dumb there is always someone that makes me feel special and solve my problem instantly and never ever failed me or my company. Great communication, social people, well taught personnel, quality services. Pros: readiness, very helpful, nice people. 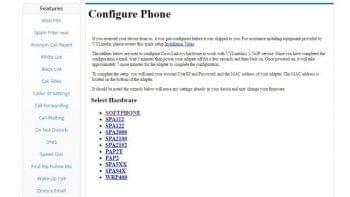 I’ve called get help to connect my Bria DeskTop phone. Anton Arestov was fabulous in helping me with my issues. He tried different ways until the phone finally worked. Also, he went further & helped me improve some of my settings. He’s been patient and professional, just outstanding in efforts to get me up and running. Thank you very much! I would recommend your service. 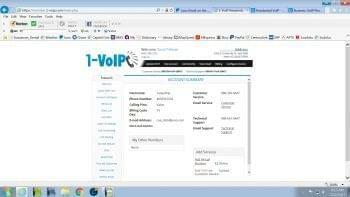 I have been a 1VoIP customer for a few years now. I did a lot of research before switching from Verizon and have not been disappointed in the least. 1VoIP has given me excellent call quality, better reliability than my Verizon landline, and some of the best customer service I’ve had with any company (phone or otherwise). Any time I had a question or needed anything…they were right there to help…a real person, really quickly, really helpful. Couldn’t ask for any better! FYI…my questions were never an issue with the phone service…that has worked flawlessly since day 1. They helped me with everything from refining callerID to helping me find the least expensive way to call my daughter while she was interning in France…things like that…they made everything easy. I’m a very happy customer. Pros: 7-24 service with friendly people in the USA. 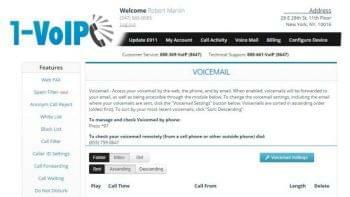 I’ve had 1-VoIP’s service for a year now and have NEVER had a problem. Their customer service is superb – friendly, professional, and knowledgeable. I’m paying less than one half of what I was paying CenturyLink, and with them I wasn’t even getting long distance or a fourth of the features that 1-VoIP provides. I’m very glad I switched over, and for me it’s a no-brainer. – Premier Basic, $14.97/mo: Unlimited incoming minutes; 500 outbound minutes. – Premier Unlimited, $23.97/mo or $189/yr: Unlimited inbound and outbound minutes. 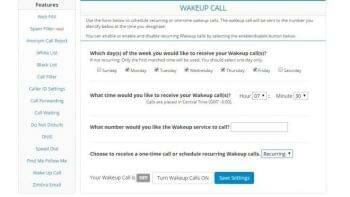 – Premier Global: $29.97/mo or $233/yr: Unlimited inbound and outbound minutes plus unlimited calls to 30 countries. – $4.95/mo for local number. – $5.95/mo for toll-free number. – Optional Cisco RV082 Router for $99.99, or Cisco WRV4400N for $149.99, shipping $30 extra for either. 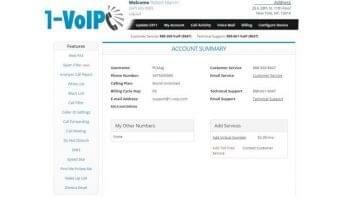 What Do You Think of 1-VoIP?